Coco Moon is a hybrid wholesaler/retailers that sells high quality baby products through the Hawaiian Islands and beyond. Easy integration with Shopify allows for ease of tracking sales orders. Less double entry and manual work with the use of TradeGecko. Working with the ShipStation integration simplifies and streamlines order fulfillment. Amber Thibaut got the idea for Coco Moon late one night while feeding her newborn son. She realized there weren’t enough quality products available for babies in her home: the islands of Hawaii. 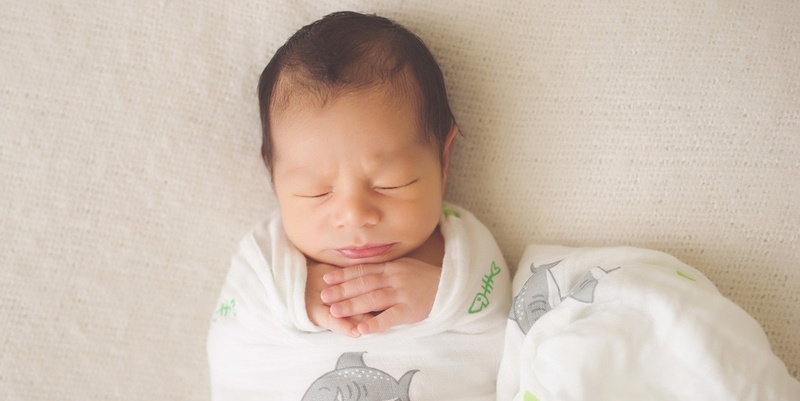 She now sells baby swaddles and other beautifully designed baby products on her website directly to consumers, wholesale to stores all around Hawaii, the USA and other international locations. Coco Moon is run almost entirely by Amber, the busy mom of 2 little boys, so all the operations of the company are squeezed into 3 full time days and lots of late nights after everyone is asleep. Coco Moon sells on Shopify, syncs with ShipStation to handle fulfillment, and uses an offline version of QuickBooks for accounting. However, even the offline aspects have become more streamlined with the online functions of TradeGecko - manual errors and double/triple entry problems are a thing of the past. Coco Moon is a testament to what happens when a mother’s love and an entrepreneurial spirit come together and find 3am inspiration. Read more about Coco Moon in the full case study here.